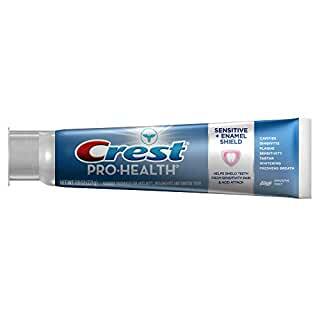 Now that I’ve finished the tube, I’m going to write a Crest Pro Health Toothpaste review about my experience using this toothpaste. My daughters wedding was approaching fast. And, I was going to appear in pictures that would last into eternity. So, I realized that I needed to do something to make my teeth pop in those pictures. Do You WANT Crest Pro Health Toothpaste? Well, of course, investigate the best teeth whitening products, and start using them. So, for the wedding, I chose to use some CVS teeth whitening strips. And, to bolster that effort, I also chose to start using Crest Pro Health toothpaste. Together they did the trick to prepare me for the wedding pictures! The ingredients list for Crest Pro Health toothpaste is listed as two types of ingredients. Stannous Fluoride is also known as Tin(II) fluoride. Crest spared no cost when selecting this main active ingredient, as Stannous Fluoride is more expensive than sodium fluoride. Because of the cheaper costs, sodium fluoride is often the main active ingredient in many toothpastes. However, Crest chose Stannous Fluoride because it actively converts calcium minerals into fluorapatite. So, this active conversion makes your teeth more resistant to acid attacks generated by bacteria. Inactive ingredients are basically everything else in the product that doesn’t meet the challenge of being “active”. I started using Crest Pro Health toothpaste to prepare for my daughter’s wedding (that’s me on the left). However, I continued to use it because I had a full tube and wanted to keep my teeth white after the blessed day. Before the wedding I used both the toothpaste and whitening strips. But, after the wedding, I only used the toothpaste. During this time, I experienced some both positive and negative things while using Crest Pro Health. When I was using both the whitening strips and the toothpaste, I saw improvement in the whiteness of my teeth. I have on occasion had tooth sensitivity. But, not recently. So, all I can really say is that this toothpaste wasn’t so harsh that it took my teeth back to a level where I had experienced sensitivity before. I do really like the minty fresh taste of Crest Pro Health. I am a fan of mint. But, I have had other toothpastes where the mint flavor was too overpowering. Crest Pro Health was plenty strong. But, it never made me “need” to rinse quickly. The minty taste was pleasant. I also haven’t had cavities or gum problems for several years. So, it’s possible this tube was just riding on successes of previous toothpastes. Those are some of the pros I’ll mention in this Crest Pro Health toothpaste review. I did feel like my teeth had improved by the time my daughter’s wedding arrived. But, after the wedding, I stopped the strips and only used the toothpaste. I did find myself looking specifically for this toothpaste every time I brushed. I have several tubes of various brands shoved into my bathroom drawer. But, I found myself wanting to use this toothpaste each time I brushed. While the lid breaking off sounds horrible (possible drying out of the paste), it wasn’t all that bad. The lid did physically separate from the tube. However, it still snaps back on, so in the end, the lid did provide it’s function. Albeit, just not attached in the way that Crest intended. I’ve already talked a little in this Crest Pro Health toothpaste review about my experiences. But, I’ll take a minute to just give my overall impressions. Like I said earlier, I kept looking to use only this toothpaste during the whole time I had the tube. I think part of it was the “belief” that I would have whiter teeth if I just kept using it. I didn’t have any other whitening toothpastes, so my impression is that the promise of whiter teeth kept me coming back. While my teeth didn’t really “pop” after the wedding, I am a huge ice tea drinker. And, I do believe that my teeth didn’t return to that “ice tea” color because of Crest Pro Health. In my final analysis of Crest Pro Health, I would give this toothpaste maybe a 8.5 out 10. The whitening results were not overwhelming. But, the negatives were also few. If you also have experience with Crest Pro Health, we’d love to hear from you in the comments below. We hope you enjoyed this Crest Pro Health toothpaste review.